PLO Secretary-General calls on the International Criminal Court to open an immediate investigation against Israel. Saeb Erekat, the Secretary-General of the Palestine Liberation Organization (PLO), on Tuesday called on the International Criminal Court (ICC) in The Hague to open an immediate investigation into “the crimes of the occupation", particularly the “crimes of the colonial settlement of the occupied Palestinian land, including East al-Quds." 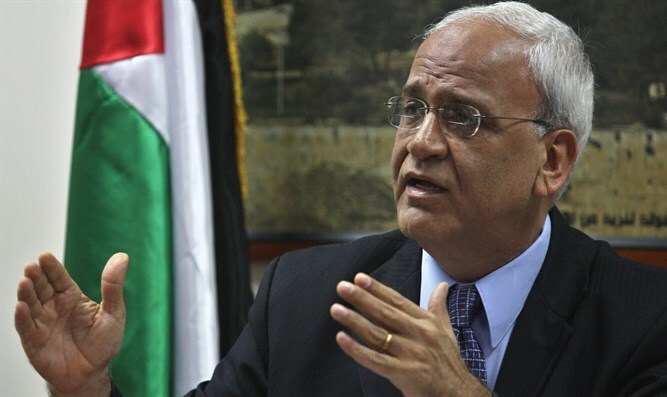 "The time has come to move to the next stage and investigate the crimes of the settlement, two years since the initial study of the files that Palestine transferred [to the court] regarding the colonial settlement regime, the military actions against Palestine, the aggression against Gaza and the issue of the prisoners," Erekat said in an official statement. He said the delay in opening an investigation will give Israel immunity and more time to implement its “settlement plans” at the expense of “the land of the state of Palestine”. "The court is the only place for Israeli war criminals, and given the absence of accountability in the international community for the crimes of the occupation and defiance of the Israeli government against the decisions of international institutions, it is necessary to use all available means to prevent Israel from continuing its theft of lands and systematically violating International law,” added Erekat. The Palestinian Authority (PA) officially joined the ICC on April 1, 2015, and immediately filed a series of legal complaints with the court. In addition to claiming that Israel committed war crimes during the 2014 Gaza war, it also claimed that Israeli “settlements” are “an ongoing war crime”.